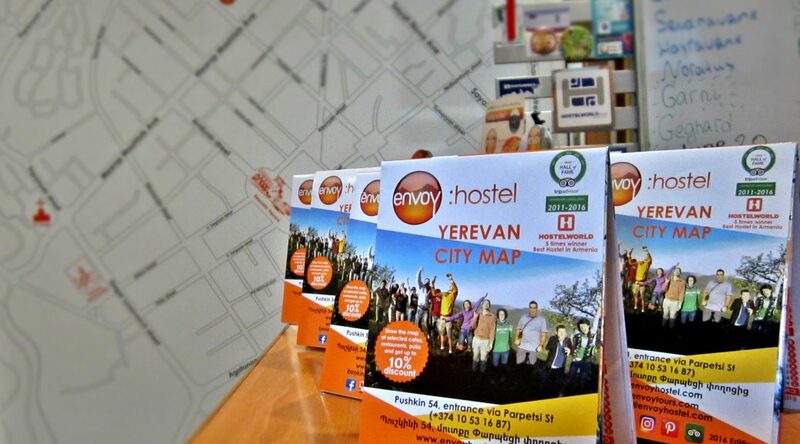 At Envoy Hostel, we are all about providing value and new services for our guests; this time Yerevan Map. We are always looking for ways to serve our guests better. Thus we have just developed our very own handy city map of Yerevan. Not only will you easily find places around town, but thanks to our partners, you will also enjoy discounts at select café’s, eateries and entertainment hubs. This map is so handy, with tips and information, it’s as if you have one of our team members as a guide alongside you all the time 🙂. 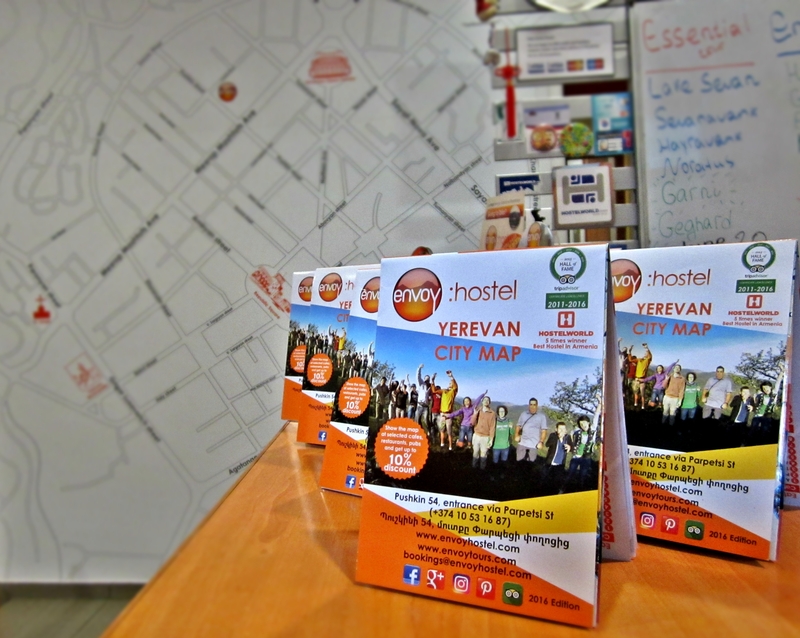 By the way, the map is absolutely FREE for guests staying at Envoy Hostel Yerevan! Come, stay and enjoy envoy with us! Previous PostEnvoy Family Phnom Penh ExpandsNext PostEnvoy Phnom Penh Turns Two!